Advancify, a small agency based in Bellingham, Washington, uses Databox to simplify the story behind their work and make data-driven marketing decisions. Before Advancify became a Databox Partner, the two founders, Kris and Matt, actually had a pretty refined process for tracking data. They used Google Analytics as the single “source of truth” for marketing data, and they would create custom reports for each client to track relevant data. 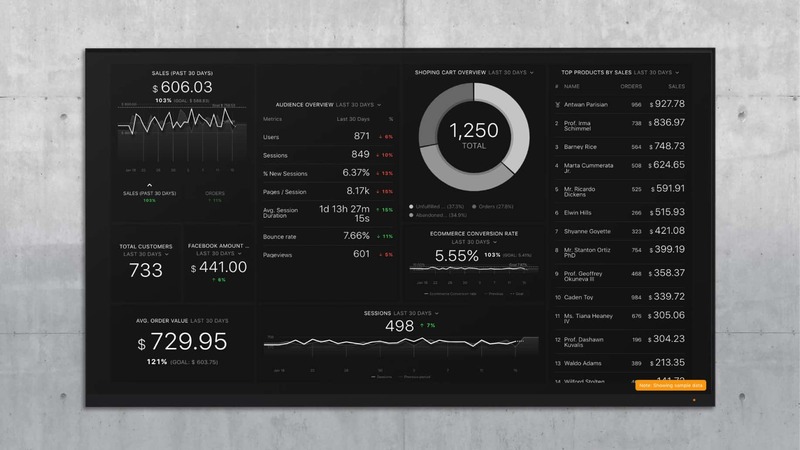 Occasionally, if a client had specific e-commerce needs, they might build a custom dashboard in Shopify as well. Advancify is known for their technical expertise. They are WordPress, Squarespace and Shopify Partners, as well as GSuite, HubSpot, and RingCentral resellers. So, Google Analytics is the one service that every client will consistently use. But, as they neared the 100 property limit within Google Analytics (100 separate domains), they realized that these custom reports were confusing and did not tell a specific story. Google Analytics is a dense tool that is not meant for assembling a monthly report. Kris and Matt started using the Agency Free plan on Databox to create live dashboards that would update with the latest Google Analytics data, alongside other popular services like MailChimp, Shopify and all the major social media platforms. Advancify usually asks clients about their annual goals when they begin a project or retainer. Then, they add those goals to their Databox account to give themselves constant reminders about the numbers they are aiming for. They also can build the dashboards around those metrics- in other words, they can include the related metrics that will support the monthly or annual goal. Previously, Kris and Matt would print out a few screenshots from Google Analytics and add some annotations. After they discussed their insights at the monthly meeting, they would share the handouts with the client if the meeting was in person, or send the file if they were doing a conference call. This was not a great solution for explaining their agency’s value. Now, they use a couple different methods to share data within their agency and with the client. They use the Notes Datablock to track their insights as the month progresses. 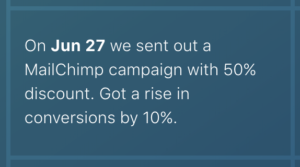 Scheduled snapshots to send dashboards automatically at the end of the month via email. Databox mobile app for times when they want to check data while away from their computer. Some of Advancify’s larger projects and retainers are based on Shopify development, so the team wanted to be able to answer the key questions that a business owner might have after they launch their new Shopify site. Interested in tracking real-time data at your agency? Sign up for an Agency Free account here! Join 25,519 subscribers to receive latest posts.